The ability to predict the future is a scary and yet fascinating thought. In the thrall of that fascination, many of us have had our Tarot cards read at one time or another. Initiates of the mystery school tradition are taught to empower themselves and take the reins to create joy in our lives. We reflect on the energy of our own lives and make adjustments as need be, we generally don’t tend to rely on the predictions of others, especially considering that knowledge is the power to make change. The tarot is a divinatory tool that is a part of the Mystery School lineage though! According to the teachings of our lineage, the Tarot originated out of Ancient Egypt. Its teachings spread from Egypt to Europe, where it became popularized as a card game. In the background however, the esoteric teachings continued on and were brought to the public eye at different times by Eliphas Levi and Arthur Edward Waite, both Mystery School Initiates. The Rider Waite deck, created by A.E. Waite serves as the model for the many other tarot decks in existence. The deck consists of 78 cards, which are split into the Major and Minor Arcana (Arcana meaning ‘mystery’). The Minor Arcana resemble a modern deck of playing cards with 4 suits, which have correspondences to the elements, the Kabbalah, Astrology and much more. 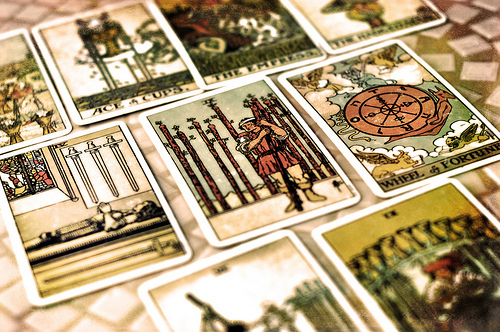 The Major Arcana consists of 22 cards that represent archetypal energies and connect to the Kabbalah, the Hebrew letters, Astrology and so on. The tarot is not just a tool for gypsies, mystics, psychics and swindlers, rather it can be a powerful tool in helping us to understand ourselves and our world in a more objective light. We all know that life is energy, and yet we are often confounded when trying to identify and work with the energies we are facing. The tarot can be an effective tool of discernment for ourselves and others when correctly used. Many of us often struggle in our attempts to discern the energy that we send out to the world and that we receive in turn. When we truly connect and work with the tarot, we can then use it as a tool to help us define the kind of energies that we are dealing with presently. It is much easier to connect to the energy and symbology of a card than it is to tap into our own personal energies. Our mind clutter, bias and ego make clear perception a difficult task, especially when we are attached to the outcome! The tarot (when properly used) becomes a mirror for us to ask the right questions so that we can finally put our distortions aside and perceive from a place of clarity. Once we come to understand the energies of the tarot and we see how the energy of a symbol fits into that aspect of our lives, we can then begin the process of managing and healing that aspect of ourselves. For example, if the Emperor turned up in a reading and we tapped into that energy, we could begin to ask ourselves: am I taking action in regards to this issue? Am I in control of my actions and are they justified? Am I being a leader or a tyrant? Is there a quality of this archetype that I need to emulate and emanate in order to bring about healing and resolution? As you begin to work with the energy of this system, you will be able to develop a strong channel of communication so that you will know what questions to ask to bring about resolution and also know what qualities are important to the resolution of the matter. In doing this, you can then gain insight into your life and the lives of others simply by asking the right questions and honing in on the correct qualities through the guidance of the Hierarchy of Light who often use this tool as a way to reach us. In studying tarot, we may not become world-famous prophets, but we can most certainly bring resolution, clarity, healing and most importantly joy to our lives. We can empower others to do the same with the wisdom contained in the cards. Sounds like the cards are a tool of hope and empowerment, doesn’t it? Aleksandra began her studies with the Modern Mystery School in 2005 and is now an Initiated Teacher and Guide. Upon her path, she has also been blessed with the honor of being a Wiccan High Priestess and Apprentice Teacher for the Warriors of Light program. 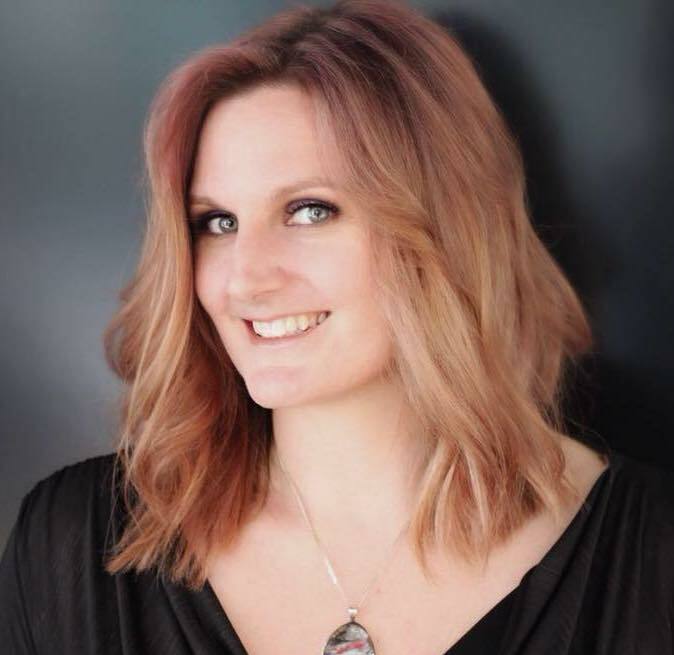 Her love for astrology, esoteric arts, healing and teaching has fueled her upon her path and inspired her studies. It is her extreme honor to assist others in remembering who they are and the gifts that they bring to this planet. It is her sincere hope that those she touches move on to touch and empower others as well. Want to keep in the loop of upcoming events? We have a weekly newsletter announcing upcoming events, classes and featured healings. © COPYRIGHT 2018. MODERN MYSTERY SCHOOL.